In a freak and tragic accident last week, Luzimara Souza, 23, died after being struck by lightning while surfing off the coast of Fortaleza. According to Diario de Nordeste, Souza was in the water when the lightning hit. 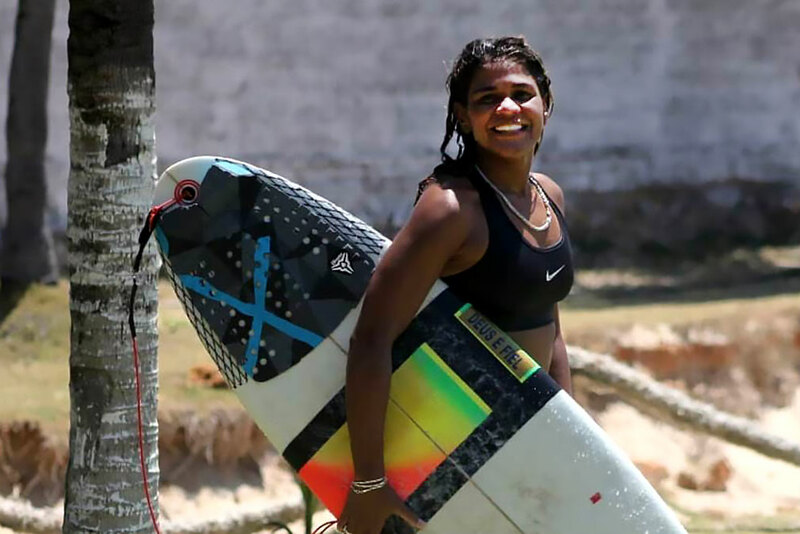 She had been training for this month’s Brazilian Surfing Championship at Leste-Oeste Beach. A witness on the scene, Gerardo Junior, said he saw the lightning strike Souza, according to The Inertia. After he rescued her, Souza was taken to the Instituto Dr. José Frota (IJF), where doctors pronounced her dead. Brazilian news site G1 also reported the lightning strike injured a second person: a 17-year-old surfer named Felipe Cardoso Nogueira. After rescuers pulled him from the water, he was transported to the Rescue Unit of the Fire Department, where he received first aid. He was then taken to IJF and is reportedly in “delicate” condition. Souza’s mother, Maura Souza, told local reporters her daughter frequented Leste-Oeste Beach as a favorite surfing spot. And Souza’s coach, Jehova Rodrigues, confirmed she was training for the 2019 championships after she won the Ceará and Brazilian championships in 2018.